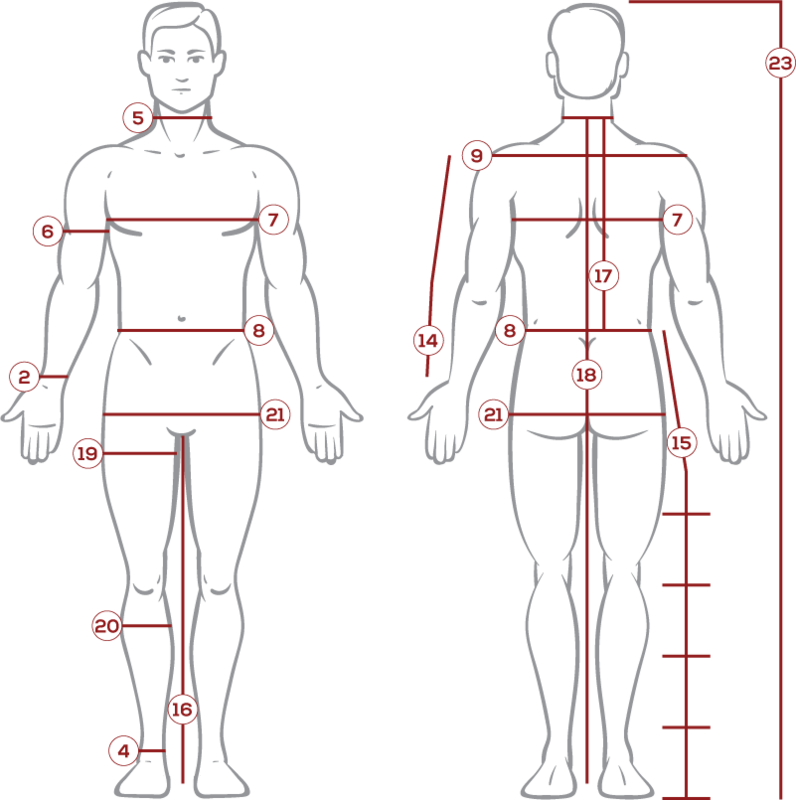 The Ladies Medieval Dress is made of rich red velvet and fitted with a closed back. 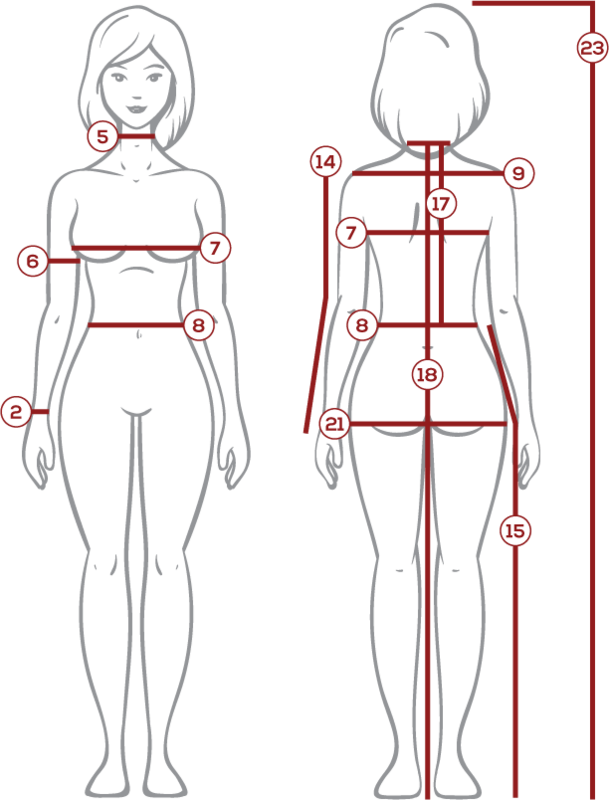 The front of the dress has lacing which can be adjusted to fit your figure. The Ladies Medieval Dress includes a hooded shoulder cape. 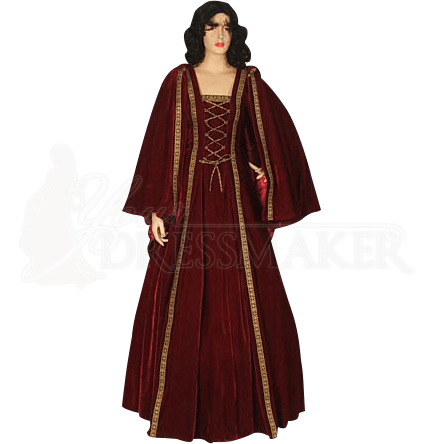 The Ladies Medieval Dress is great for Renaissance Fairs, Medieval weddings and Medieval re-enactments. 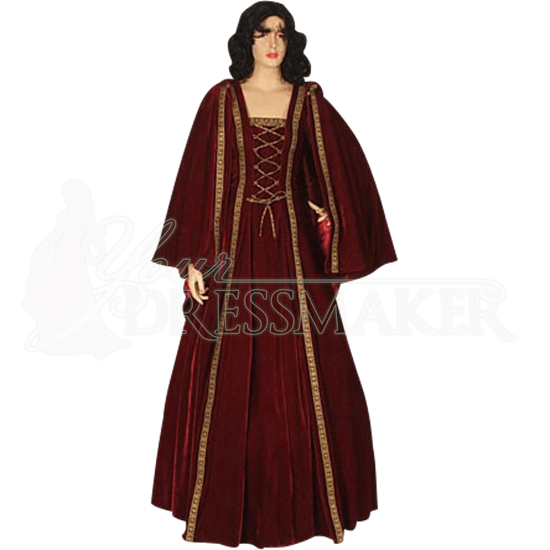 Be the highlight of your next fair or event with this beautiful Ladies Medieval Dress.